Watching movies is a favorite pastime and fun way to spend time with the family. If you and the kids are dog lovers, then a dog-themed movie is the obvious choice. Your dog can snuggle up and watch with you while you enjoy a family movie night. Just about everyone loves a good dog movie. 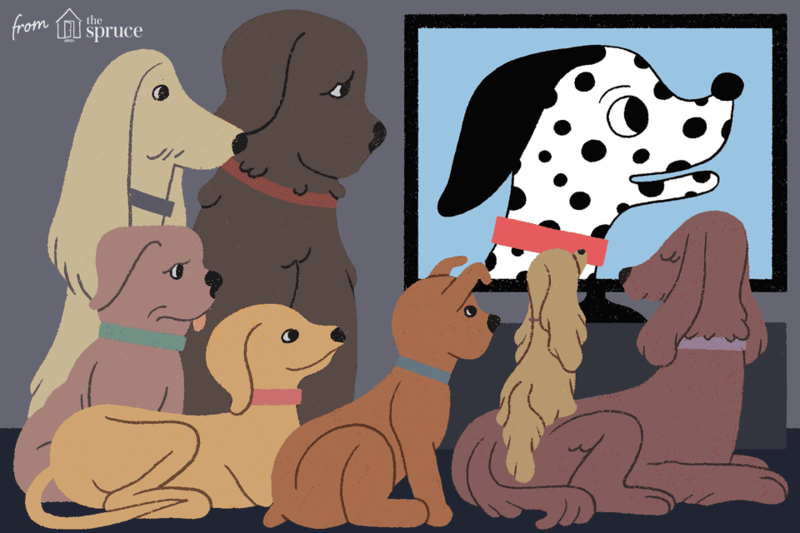 Live-action dog movies are great, but sometimes the kids really want to watch a cartoon. From the classic Lady and the Tramp to the more modern Bolt, these animated feature films offer entertainment for the whole family. This Walt Disney classic is a delight for the whole family. 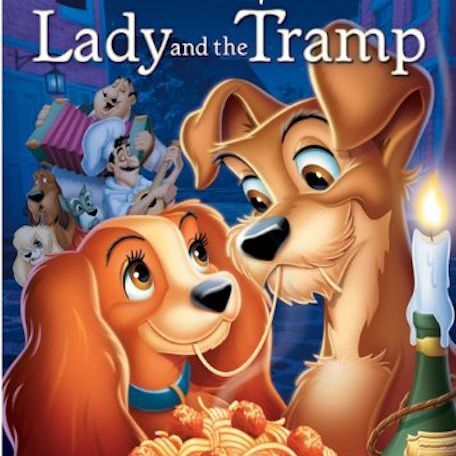 Featuring the unlikely romance of a purebred female Cocker Spaniel and a male mutt, the movie also includes one of animated film's most memorable scenes: Lady and Tramp are dining on spaghetti at a restaurant and end up nibbling on the same strand, resulting in a sweet and tender kiss. Peggy Lee voiced the sinister Siamese cats and also helped with the film's score. Another bit of trivia: this was the first feature-length animated movie to be filmed in the widescreen format. One of the all-time favorite animated dog films, this Walt Disney creation centers on the dalmatian couple Pongo and Perdita, who gives birth to a litter of puppies that are dognapped by one of the most memorable villains in all of animated history, Cruella DeVil. The original version is told from the dog's perspective, which was unique for its time period. Some dog movie-related trivia: Disney slipped in characters from Lady in the Tramp in the "twilight bark" scene. And one more bit of trivia: do you think the dog barks in the film sound authentic? They were done by Clarence Nash, the voice of Donald Duck! This spotted dog flick was the highest grossing film of 1961. A 1996 live-action adaptation featured Glenn Close as Cruella DeVil. This was the second "Peanuts" film from creator Charles Schulz, the first being A Boy Named Charlie Brown. Charlie Brown's famous Beagle Snoopy sets out on a journey to see a little girl named Lila in the hospital. Later, he finds out that Lila was his original owner and wants him to live with her family again. What will the Peanuts gang do? This cute movie is often remembered for its running theme of "no dogs allowed" signs. This quintessential tale of an unlikely friendship is a touching classic. A young fox named Tod and a hound puppy named Copper form a close friendship. As they grow older, they learn they are destined to be enemies, as Copper is a hunting dog. Worse yet, Copper's owner is set upon catching Tod. Can their friendship withstand nature and their "culture clash" or is the friendship strong enough to survive? Get the tissues handy for this bittersweet tale. To be fair, the main character of this film is a cat named Oliver. As a homeless kitten wandering the streets, Oliver meets up with a gang of stray dogs who show him how to survive but also involve him in their life of crime. Soon, Oliver meets a girl who becomes his new owner, and the two must escape some trouble involving some of the dogs. This adaptation of "Oliver Twist" by Charles Dickens is a sweet animated film with entertaining music and characters. A con-artist dog named Charlie returns from the dead to take revenge on his nemesis and killer, Carface. He meets up with a little girl who can talk to animals and intends to use her abilities to his advantage. Soon, he has a change of heart and decides he wants to make things right. All Dogs Go to Heaven is a bit darker than some animated kids' films, but, in the end, it has a good message. Mixed with humor and fun characters, this film can entertain all ages. Balto was adapted from a true story that occurred in Nome, Alaska during the winter of 1925 and inspired the Iditarod dog sled race. The animated film tells the story of wolf/husky mix who becomes a hero during a diphtheria outbreak. Balto leads a team of dogs on a several hundred mile trip across the Alaskan tundra to get medicine for the sick. Though several facts from the original story were changed for the movie, this animated film is both dramatic and inspiring. Features the voices of Kevin Bacon, Bob Hoskins and Bridget Fonda (who plays a dog named Jenna). Clifford the big red dog makes hits the big screen in this sweet and simple animated film. Clifford fears that he is costing his family too much money and leaves home to join a traveling carnival. Featuring the voice of the late great John Ritter as Clifford, along with many other Hollywood celebrity voices, Clifford's Really Big Movie is lighthearted entertainment that will especially appeal to younger kids and fans of the children's books and TV show. Bolt has spent his life as the canine star of a fictional TV show on which he has superpowers. Trough a series of mishaps, he finds himself in New York City, where he learns that his superpowers and his life on the set are not actually real. Bolt soon teams up with a cat named Mittens and a hamster named Rhino, and the three embark on an adventurous journey. This CGI digitally animated film features the voices of John Travolta and Miley Cyrus. This hilarious and exciting movie involves many pets other than dogs: cats, birds, hamsters, lizards, a rabbit and even a pig! However, the story focuses on a couple of dogs. When Max's owner brings home a new dog named Duke, his world is turned upside down. But the two must learn to work together when they become lost in the streets of New York. Meanwhile, the other neighborhood pets, work to find Max and Duke and thwart a gang of the city's abandoned pets. Featuring the voices of Louis C.K., Jenny Slate, and other well-known actors, the Secret Life of Pets has plenty of fun and humor for grown-ups as well. Rated PG, this one might not be ideal for the youngest of kids to watch alone.